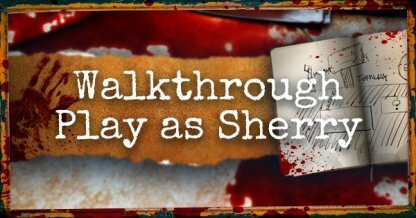 Check out this guide for a full walkthrough of the Claire Story Walkthrough (Play as Sherry) from Resident Evil 2, including gameplay tips, guides, and more! Solve the puzzle to find some Scissors. Additional tips below. The solution to the puzzle is found on the image above. The shapes on the top row are Square-Triangle-Circle-Star-Triangle, while the bottom row is Circle-Square-Star-Square-Star. 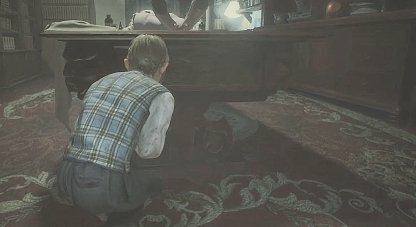 When attempting to get the Key from the Chief's desk, make sure to crouch to avoid making any unnecessary noise. 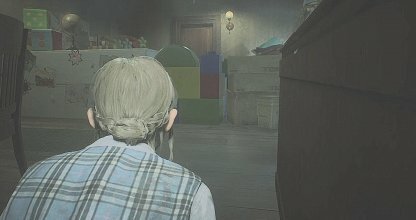 Run from the Chief and hide in the Nursery. Additional tips below. 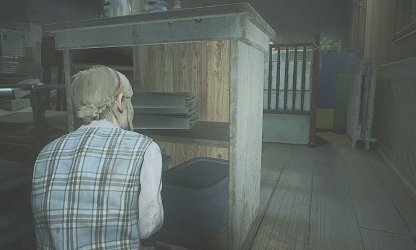 When the Chief enters the Nursery, the first place you need to hide is behind the table with the towels on top. Just keep out of his sight and move around the table to avoid being seen. When he bangs his foot, move to the next hiding place. Move to the table near the bathroom on the other side of the Nursery. Even if it is not a secluded place, the Chief will not look here, and head for the bathroom. When he is washing his face, get the key. Remember to crouch when hiding. This will lower the chance of you being spotted by the Chief when he is looking for you!